I like fads–they’re fun, fresh and often inexpensive ways to brighten up a room temporarily. Notice I said “temporarily.” Fads have a shelf life and it can be hard to tell when the expiration date has come and gone. It’s the new year; a great time to take a hard look around the room to see what fads you’ve participated in and decide if perhaps they’ve done their job and need to be removed. You don’t have to throw anything away. Old fads can definitely be repurposed at a later date. 1. “Keep calm and carry on.” Nice little slogan that one. Inspirational, catchy. Done to death. So if you haven’t already bought a pillow, framed print, apron, tray, card or T shirt with this emblazoned on it by now, I suggest you write it on a Post-It, stick it on your bulletin board and move on. I swear every magazine in the past year has featured at least one room with this on the wall. Enough! 2. Fake plants of any kind. Still have faux greenery on top of your kitchen cabinets? Please take it down today. You’ll feel better (after you faint at the sight of all the dust that’s on every leaf), or at least you’ll breathe better. If you want one or two small, discreet little fake plants in your house, tuck them in a corner or some small place, don’t make them the star. They don’t have star power. Try some real plants in your home(but probably not over the cabinets). A peace lily is very easy to grow. It just needs light, not sun. There are lots of options actually like that one. And you don’t have to water most of them very often. 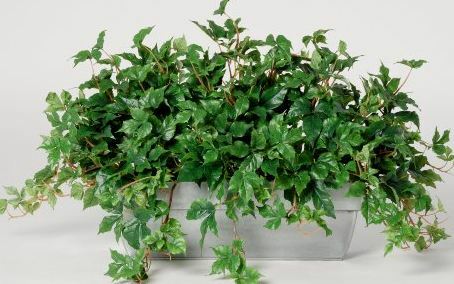 In fact, a nurseryman recently told me that overwatering is the leading cause of death in houseplants. He says a little neglect works just fine. 3. Old furniture painted white. There are other colors out there that can spiff up an old ratty bureau or cool retro end table besides bright white! First of all, please think hard before you cover up the old wood finish. Sometimes just cleaning the piece up with a mild solvent and changing out the knobs or pulls can resolve the aesthetic issues. But if it needs to be painted, or you just want a painted finish, consider some other lovely colors. Great neutrals include creams and grays and my favorite finish is still a soft gloss. I think flatter finishes look cheaper. Poppin’ fresh colors like reds, blues, greens, etc. are always welcome. Maine Cottage sells spray paint in great hues. But let’s give bright white a little rest. 4. 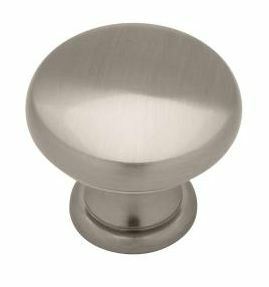 Satin nickel finishes. While I like satin nickel finishes, it’s becoming the brass of our time. The bronzes and black are just so pretty, warm and easy to maintain. My friend and fellow designer, Christine, just built a house with black doorknobs on all interior doors. It’s fabulous. Really, really fabulous. Remember you can mix your metals now–that old style of all brass or nickel throughout the house is long dead. 5. Shiny granite. I love granite countertops, but dare I say that we’ve polished enough of it? I’d like to see more honed finishes on granite. It’s soft and warm and doesn’t cast a glare when the lights are on. Mixing polished finishes with honed ones is a nice look. 6. Mass produced artwork. I’m talking the super duper mass produced stuff. There’s so much great art in the world; tons of original artwork, lots of things you can do yourself, and lovely prints, giclees, etc. by both known and lesser known artists at every imaginable price point. Why would anyone choose to put the same picture on their walls that they see at the dentists office, their friend’s home and anywhere else they might look? Once in a while I’ll see a great piece of art (not original, but beautifully done and framed) at a big box store. But it never fails that a few months later, the same piece will suddenly show up at yet another big box, then another, then I’ll see it in the catalogs. I’ve learned to step away! I know, I’m opinionated and bossy. I hope I haven’t offended anyone. Just think about trying something new with your future purchases. Nothing shown here is ugly or tacky. Just maybe overused and could use a break. Trust me, it will all be back in time!